So here we are two-thirds through 2016, and 4K TVs are definitely worth looking at if you’re considering a new TV. 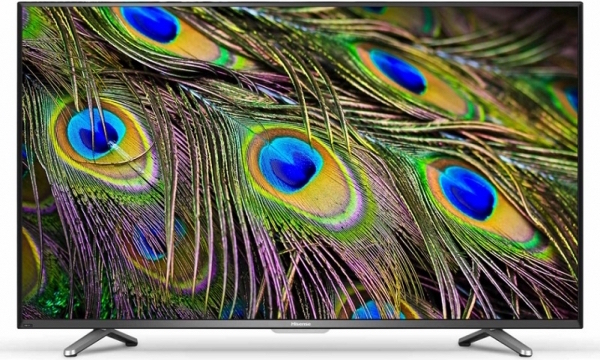 Regardless if they’re called 4K TVs, Ultra HD TVs or UHDTVs, there are a lot of great 4K TVs available at reasonable prices. Good ones make today’s HDTV sources, like Blu-rays and Cable TV, look great using their built-in upscaling capabilities. But what actual 4K material – what are our options for that? While true 4K content is still pretty thin, its improving with options for streaming from the Internet, cable TV providers and 4K Blu-ray discs. Streaming services like Netflix are still the go-to for getting 4K content (and will likely be in the future). Netflix has stated its committed to Ultra HD 4K content, and their list of shows is growing. There is currently a $2 premium for Netflix Ultra HD, but this also gives you the ability to stream on up to four screens. YouTube has been offering 4K for longer, but there is less programming there. Shomi and CraveTV, the Canadian brewed streaming services, are also rumoured to be offering 4K content soon. If you want to stream 4K services though, make sure your TV has the apps available, as there are currently no separate 4K media servers readably available in Canada (like the Roku 4 – which is currently not officially supported in Canada). Note though that internet streaming will cut into your data allowance from your Internet Provider. So far it looks like only Telus is offering a 4K compatible set top box in our area. This is a good sign, but there is little 4K content on cable TV to actually watch. There was the Olympics, and there will be a few Blue Jays and NHL games, but its a pretty light offering. How this turns out depends on the future of internet streaming – one could image that any programming will be available via streaming vs. just cable TV (regardless if offered by a phone, satellite or cable company). The technology is readily available, so it really will be decided by licensing deals and the CTRC. Hopefully future decisions will be made to benefit consumers and not just service providers. There is still an industry push to offer physical mediums like 4K Blu-ray discs. Since these discs won’t rely on your Internet service, they will offer consistent high quality and without impacting your Internet usage. Since we’re increasingly an instant gratification society, only time will tell if people are willing to go to a store or wait for physical discs to watch. The current issue is that there’s not many 4K Blu-ray players available like these from Samsung and Panasonic. The list of available discs is growing, but its not very comprehensive either. All that said, its definitely still worth considering a 4K TV if you have the budget. There is strong momentum with this next generation TV technology, and in the meantime, for a reasonable premium, you get superior picture quality while future proofing for when content availability settles out. The Consumer Electronics Show, or CES, is North America’s big electronics show. Its the event where companies show off their latest and greatest products. It wrapped up on Saturday, and as in past years, there was an overwhelming amount of gadgets from wearable tech to drones to car tech (all of which created their own buzz). 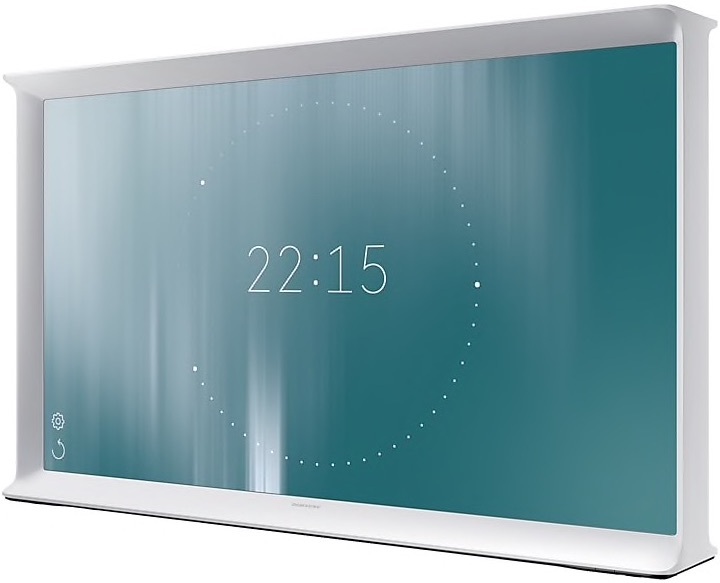 With so much going on, we’ll narrow our focus to a couple home tech related themes; 4K TV and smart home products. Like last year, 4K TV was hot at CES. This year though it looks like 4K TV is heading quickly towards the mainstream. While every TV manufacturer showed of their latest 4K TVs at CES, manufactures like Hisense and Sharp announced more affordable sets. They may skimp on some features and quality, such as back lighting and HDR, but they may be satisfying for the price. TI also announced a 4K chipset (the devices manufactures will use to build projectors with) that should bring more affordable 4K projectors to the market sometime towards the middle of the year. Many also announced 4K UHD Blu-ray players. There looks to be 4K UHD Blu-ray movies on the way as well this summer, but we’ll see if people will still choose physical discs over the convenience of streaming 4K TV from services like Netflix. Although there was a fair amount of “smart home” gear, there weren’t really new complete solutions that solved pain points. 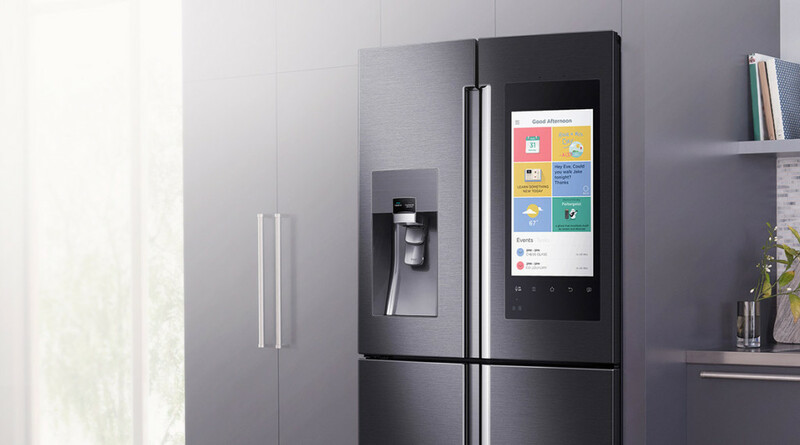 For example, Samsung and LG had ‘smart’ refrigerators, but likely the best feature was that the Samsung took picture of what’s inside your fridge. Perhaps handy to check if you need to pick up milk on your way home, but maybe not worth the $5K US. Whirlpool also has some appliances including a smart stove that is controlled via a phone app. While it will also work with a Nest thermostat to send alerts when the oven is on while the the Nest thinks you are away, it really should have the smarts to know when someone has completely forgotten a pot heating on the stove. This could save a forgetful or elderly person from a common danger. There were also products like NanoLeaf and Stack’s responsive lights that make lights smarter. NanoLeaf integrates with Apple’s Siri. Stack’s can turn themselves off when you leave the room and adjust colour of light for the time of day. The idea is that it provides more natural lighting based on environmental conditions and time of day. Cool ideas, but the average home owner would have a patchwork of apps to control them with other home tech vs. simple whole home control. In general, its good to see that manufactures are trying, so hopefully they’ll move towards products that are simple to use and solve pain points. The main takeaways from CES 2016 for the home were the solidifying of 4K TV and that homes will continue to get smarter. 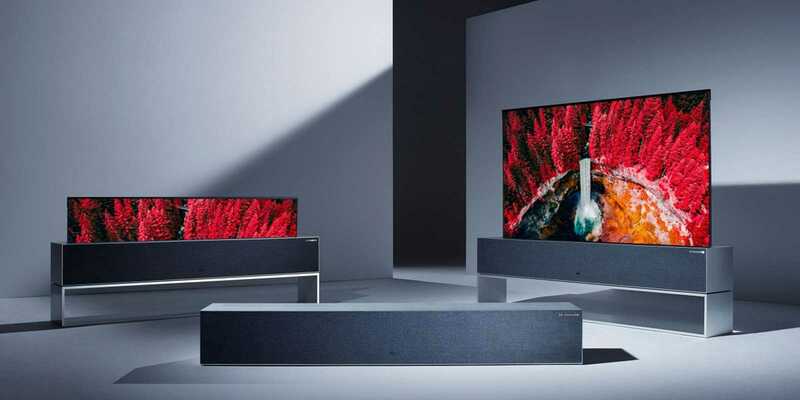 The good news is that great 4K TVs are getting to price points so we can all enjoy 4K TV, and there looks to be an increasing interest in making home tech products that improve our lives. 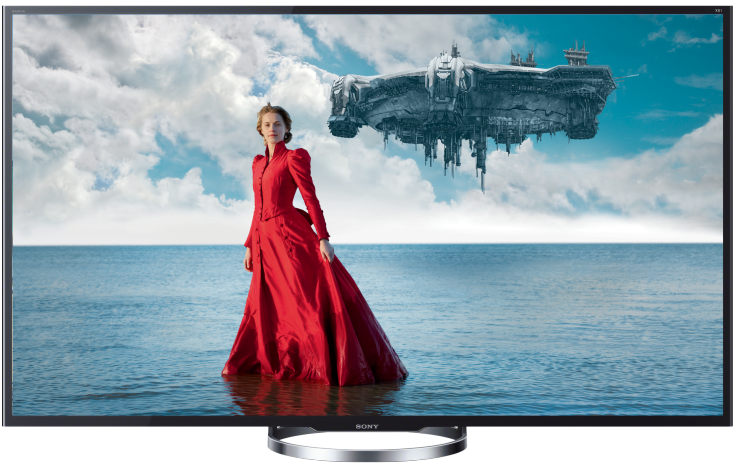 We just discussed how prolific Ultra HD 4K TVs were at this year’s CES. Ultra HD or UHD 4K TVs are the next generation of TVs that everyone will be using sooner or later. The problem is that during this transition period not all of today’s 4K TVs will work with future cable set-top-boxes, disc players, etc. The issue comes down to two major pieces of home tech TV jargon: HDMI and HDCP. We’ll start with HDMI. People may know HDMI as the cable to plug things like an Apple TV or cable box into TVs. The full story though is that HDMI is a standard that defines how a device like a cable box will talk with a TV. Its really a two-way conversation. In the old days it was a one way conversation: a TV cable just sent information using electrical signals to a TV. HDMI still uses electrical signals (in the form of digital data), but information goes both ways, e.g. TV resolution and control info. Since there are so many details that need to be agreed on, industry folks have created standards like ‘HDMI 1.4′ or ‘HDMI 2.0’. If manufacturer’s gear honours the standard’s rules, it can talk to each other using HDMI. At this point you may be asking what does all this have to 4K TVs? Well, since there is so much data needed for those crystal clear 4K TVs, you’ll need at least HDMI 2.0 for things to work. 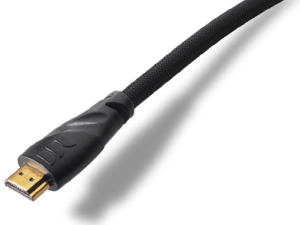 HDMI 2.0 is the current top HDMI version, and any TV, cable box, AV receiver, etc. has to be at least HDMI 2.0 compatible if you want it to work with 4K TV content. Ready to move on to HDCP? 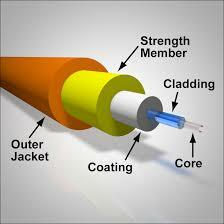 HDCP is High-bandwidth Digital Content Protection and is a type of digital copy protection. This is a tool to protect TV shows and movies from digital pirates and other content copiers. Movie studios and manufactures have agreed that devices like cable boxes, AV receivers, TVs, etc. must be HDCP compliant, or content will not play properly. As with any arms race, the weapons must be updated. For 4K TV, the agreed level of protection is currently HDCP 2.2. 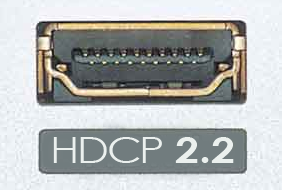 This means that any 4K TV must be HDCP 2.2 to work properly with 4K content. What all this boils down to is that for 4K UltraHD, any TV or TV device you buy has to be at least HDMI 2.0 and HDCP 2.2 compatible. If not, its quite possible that they won’t work together. Shockingly, not all 4K TVs, 4K AV receivers, and such are both HDMI 2.0 and HDCP 2.2 compatible. This could mean anything from a lower than expected picture quality or a sad, empty black screen. Either way its extremely annoying when you think that you’re buying the latest and greatest technology. Hopefully this helps you understand the issues (and jargon), as the better equipped we all are, the better the home tech experience is for everyone. Ultra High Definition Television (Ultra HD TV or UHDTV), is the next generation of televisions. There are two Ultra HD formats: 4K TV and 8K TV, but 4K TV will likely be the predominate one over the next several years. 4K TV has four times the resolution of current HDTVs (8K has 16 times!). The increased resolution comes from more pixels packed into the TV. Pixels are like tiny coloured lights that make up a TV’s picture. Ultra HD also has more colour range, or colour depth – essentially video should look more ‘real’. 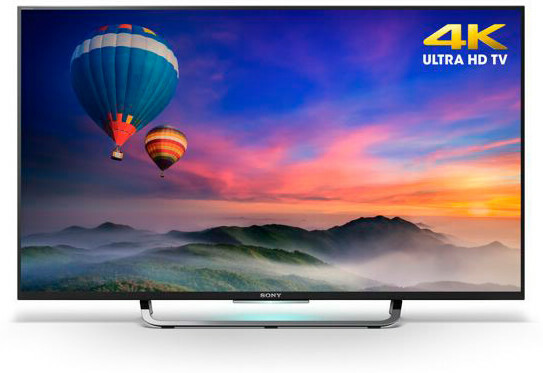 Ultra HD paves the way for some very large TVs with great picture quality. The good news is that the cost of Ultra HD TVs are coming down faster than it took for HDTVs. The bad news is that the rest of the industry needs to figure out how to give us something to watch. For example Sony has an Ultra HD media player and YouTube has some clips, but there isn’t a whole lot Ultra HD stuff out there. There are top brands making great Ultra HD TVs, but there are also lesser manufactures making poor ones. Some Ultra HD TVs may have the specs on paper, but perhaps the colour isn’t quite right or the picture quality isn’t even across the whole screen. You should be careful when you stumble across a ‘deal’ on a Ultra HD set. Ultra HD allows for a more detailed picture than HDTV, but it doesn’t give quite the sense of a huge step up as HDTV did against old standard definition TVs. Ultra HD is definitely better, but its not like HDTV is unwatchable after you see Ultra HD. Do you need an Ultra HD TV now, probably not. If you are currently in the market for a TV, and don’t have a big budget, then you’ll likely be well served by a HDTV for quite a while. If you have some extra cash and want to be ready for the future, then perhaps a Ultra HD set is for you – especially if you’re buying a huge TV. The masses will likely start buying Ultra HD sets once prices come down and there is more content available, especially sports.